Another visit to the bathroom. After flushing some troubles down the toilet I step back and I find myself in front of the mirror - Loyal old friend who has seen me grow up, discovering my first mustache, brushing my milky teeth, and yes of course- getting old. What thoughts my old friend has kept inside his foggy mouth?- A parade of dust, steam, tears and shaving gel? A mix of self-flattering grooming products and midnight gossip sessions he has attended for over a decade, yeah, the mirror has seen a lot and probably had enough of my ridiculous coca-cola flavoured hair spray. No doubt, I have changed. From the marshmallow toothpaste to the go-smile treatment, from the funky dinosaur facial cream to the volcano rock exfoliator, I regurgitate negative thoughts and realize that growing old seems like the most common and funny experience that wrinkles can provide. THE MALE MODEL MUSIC PROJECT had a word with LOUIE AUSTEN, performer and "Neo Crooner" from Vienna. For those who are not familiar with him, Louie has been in the business for over 40 years. 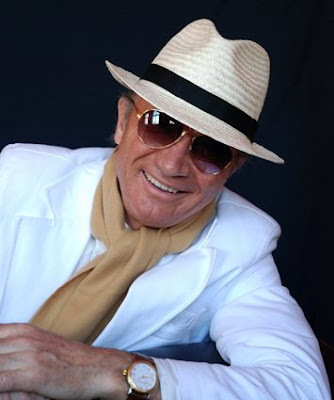 He has been inspired by the "crooner power" and sounds from figures like Dean Martin and Frank Sinatra. He lived outside Vienna for several years, in countries like South Africa, Australia and the USA, just before playing in a band and then releasing his debut album in 1999 "Consequences" which caught the attention of the audience for his voice and sounds combining the classic crooner style with electronic modern beats. After this achievement, he kept on with his career, releasing albums like " Only Tonight" that included "Hoping" a smash hit. "Easy Love" in 2003 and then "Iguana" in 2006. 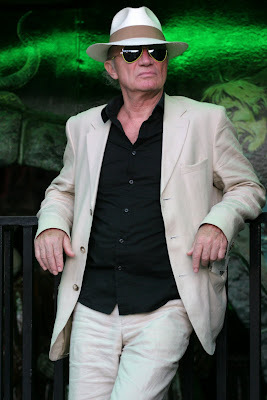 Louie has collaborated in many singles and several EP's with artists such as Señor Coconut, Korsakow, Ada Fijal, Rodion and one his latest participations with Phonique on their album "Kissing Strangers" with "Endless Love". After 4 years of endless work, collaborations and tours, he delivers to us his new double feature "Last Man Crooning/ Electrotaining You! ", the first disc including 12 new tracks and the second one, with the same tracks but remixed by Ian Pooley, Filippo Naughty Moscatello, Acid Washed and Phonique, just to mention some.
" It is a perfect mix for my old fans and maybe new friends" he comments on his new album, aiming to reach both old and young audiences. With this explosion of classic and electronic sounds, Louie confirms that no matter how fast years may pass, he's packed with enough energy and enthusiasm to go on with his career and still open to new projects and artistic collaborations. No doubt, with Louie, there's still a long way to go!! 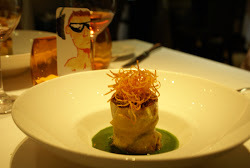 Photos for this feature are from Alexander Dubaic, otherwise noticed. 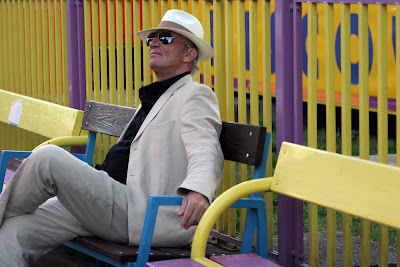 "Europe's only true crooner" What do you think of this statement? Anyone can become a crooner? Louie: I like it, crooning is a singing technique and I like the idea that crooning is the "bel canto"of pop, anyone can be a crooner if he is willing to study vocal production. When was the moment when you said " I want to sing", "This is what I want to do"? Louie: When I was eight years old I felt the urge to sing but strictly only without any audience. How was this hiatus from "Iguana" back in 2006 to " Last Man Crooning" in 2010? How have you evolved as an artist, as a perfomer in this period? 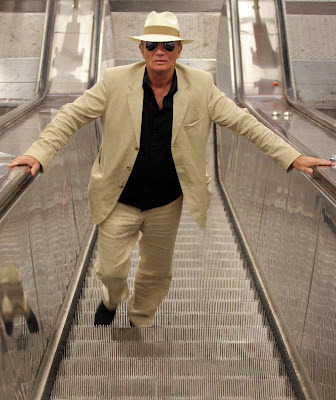 Louie: Well, you know it´s 4 years since I´d released my last album Iguana on Klein records back in 2006 so on one hand it was very exciting and great to work on Last Man Crooning / Electrotaining You! for me especially since by now I have my own label LA Music (which is short for Louie Austen Music) so for the first time in these by now over ten years I´m in electronic music I had complete full artistic freedom on this album and could just do whatever I wanted with no label manager poking me telling me I should do it this or that way. Unfortunately this also means I have to cover all costs for the album production myself. And it was also very frustrating as it took so much longer than I thought it would take to get the recordings together - I actually already wanted to release it early this year but as there were so many musicians involved specially. On the first of the two albums Last Man Crooning that it took more than a half a year longer than expected. But I am so proud and glad of the outcome & I hope all my fans are just as happy as I am with this Louie Austen double dose! 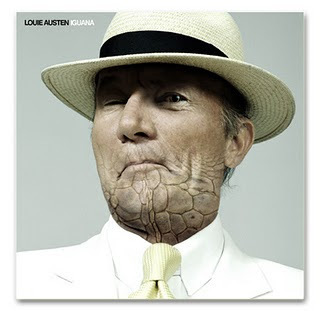 Louie Austen's 2006 album "Iguana". "Last Man Crooning" talks about many topics, the performer profession, passion and we can find back flashes from your trips to South Africa, Australia and the US. How it's been the experience of being Louie Austen as a musician? Louie: The life as an musician is hard, no money, out of jobs and a girlfriend who is always complaining about how inefficient you are. But deep in your heart you know that this is the only way to exist. In your new album we can find love songs such as " My lady", " A hundred years from now", "Little Sun". What's love for Louie Austen? Louie: The force for eveything you are doing. The wonderful thing about love is, that the more you give away the more you get back. What's your opinion on the fact that Louie Austen is considered as a kind of reconcilliation between young and old, and have achieved succesfully to reflect this union in your music? Louie: This is probably the greatest honor for an artist, to please young audiences. The most common statement after a concert is "Louie, now I am not afraid anymore to get as old as you are!" This is the most wonderful compliment you can get. Tell us about your future projects or plans. If you had to leave this world tomorrow, what do you think that you leave to this world? Will the crooner figure go on? Louie: That I made the world a better place and made many people happy. Quality will come back, because life goes in waves and there is room for everything. What's your message or advice to young people, specially artists and young talent who have just started and are interested to be in the music scene and why not, to become new crooners? Louie: Do your thing and don't let anyone distract your dream. Find good people to work with you and stay away from bad people or negative attitude. Special thanks to Carina and Louie himself for this interview. Welcome to the project!!! 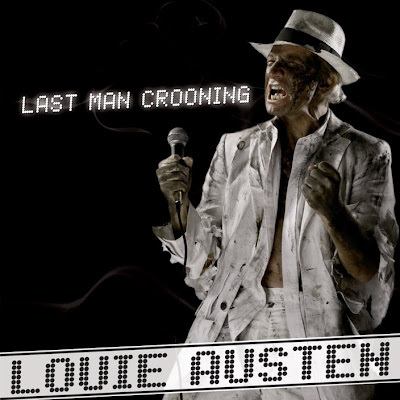 Louie Austen's new double feature album "LAST MAN CROONING/ELECTROTAINING YOU!" is OUT NOW!! LAST MAN CROONING is HERE. Check out Louie's official site for further information on this release and tour dates,HERE. The list of links to get the album will be published soon. Stay tuned!! This is the info and links of distributors. 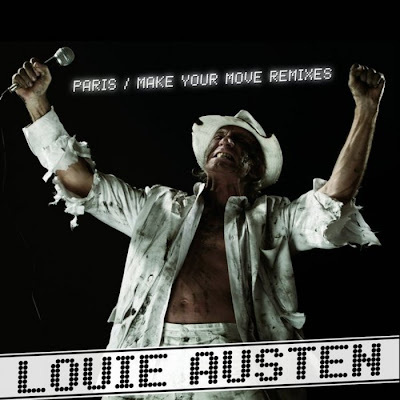 "Paris" and "Make Your Move" remixes have been released aswell.